Home Brain Health Did You Know Zinc Does All This? If you were to look at the nutritional panel on most foods you’d see zinc is listed as one of the nutrients you’re about to eat. What you’ll also notice is there’s not a lot of zinc in most foods. I’ll get into low levels of zinc later, but right now I just want to let you know something. Zinc is an ultra-important nutrient. One that has more health benefits than most people know. If you want to maintain physical health, enjoy peak sexual function and a host of other benefits it’s important to maintain proper zinc levels. A common theme I focus on in my writing is how many people are deficient in vital nutrients. In the past I’ve discussed how as many as 80% of people are deficient in magnesium… and I’ve shown you why so many people are low in vitamin K-2. Well, I’m sure you’re about to guess there’s a massive zinc deficiency plaguing Americans. I know, I had you going there. Chances are you’re not deficient in zinc. Yes there are deficiencies in zinc. And many of those come from an improperly balanced diet. But, it’s not as prevalent or as severe as other nutritional deficiencies. That being said, if you suffer from certain conditions getting extra zinc into your diet can help to remedy them. Before I show you what those conditions are, why don’t I spend some time showing you what zinc is, where it comes from, and what makes it so important. Other areas of the body where you’ll find high levels of zinc are the pancreas, the eyes, the liver, kidneys and your muscles. Zinc helps to regulate the synthesis of DNA and protein as well as playing a role in cell division. Plus, zinc is also closely tied with healthy immune function, wound healing, your sense of smell and sight and is vital in the function of 100 different enzymes. And now that you know that, let me clue you in on how supplemental zinc can help to boost your health so you can stave off any number of potential health issues. As I write this it’s the middle of winter. Which means cold-season is in full swing. One of the chief ways I use zinc in a therapeutic manner is to help improve people’s immune systems. You’ll likely notice that some of the top alternative health treatments for the “regular ole cold” have zinc in them. The reason this is true is because when zinc is present in the body it helps to improve white blood cell function which improves your immune system’s response to pathogens and other threats. Recent research by the Ohio State University explains how/why zinc is so important for immune health. “Through further experiments in human cells and animal studies the researchers found that a protein called NF-kB lured zinc into the immune cells that responded fastest to fight infection. Once inside, the zinc then put the brakes on further activity in the NF-kB pathway, slowing down the immune response and limiting the amount of inflammation, the study, in Cell Reports, indicated. It was effectively a feedback loop, stopping the process getting out of hand, the researchers said. Zinc’s association with immune function don’t stop there. One note about zinc supplementation for enhanced immunity is too much is problematic. If your zinc levels are too high it may suppress your immune system and reverse the protective benefits you’re looking to find. One of the central ways that zinc helps to keep us healthy has to do with how zinc influences brain function. Studies show taking zinc can help people who suffer from debilitating ischemic strokes gain restored brain function. Interestingly, part of the way zinc helps to enhance brain function has to do with how a lack of zinc may result in immune dysfunction which could have adverse effects on brain health. Zinc also reduces the levels of inflammation in the brain, which contribute to dangerous brain conditions. 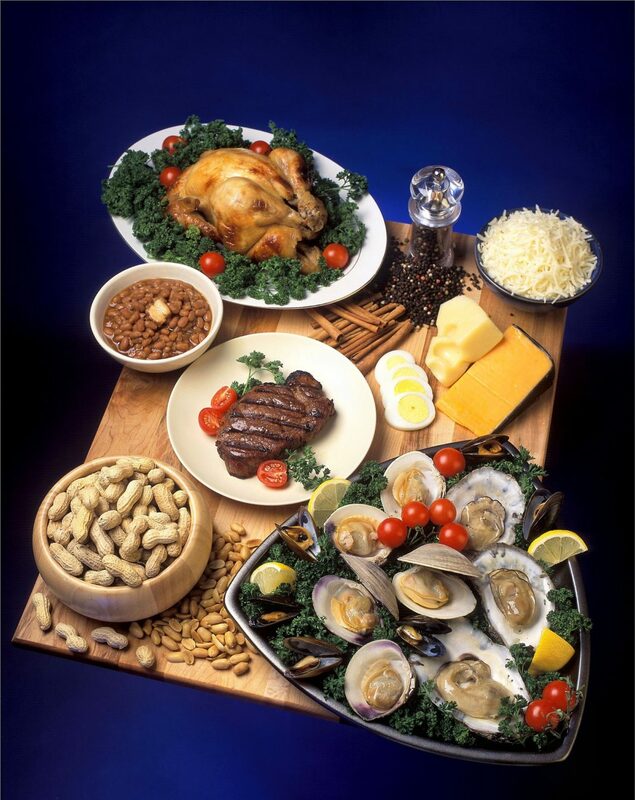 The presence of zinc helps to mediate inflammatory effects in the brain via several cytokines. Not only does this help reduce inflammation, it also helps boosts hippocampal neurogenesis (the generation of new neurons in the brain) and even changes how a sensitive area of the brain called the hypothalamic-pituitary axis performs. There’s also evidence that zinc prevents damage to sensitive neurons in the brain which allows the brain to function as it should. There are dozens of studies linking zinc to improved brain health which is why if you happen to be deficient (determined through a blood serum test) supplementation may be in order. The health of your gut is essential to the health of the rest of your body. If your gut is teeming with bad bacteria or the lining of your gut is compromised then it may result in leaky gut, chronic inflammation and more. Studies show zinc is vital to the health of your gut. It’s believed zinc helps to protect (as well as helps to form) the mucosal lining of your gut and improves how your body heals the lining of your stomach and small intestines. There are even studies indicating that if you get enough zinc in your body those increased concentrations could help to fight one of the most common and most dangerous bacterias present in Americans’ guts. This bacteria is known as H.pylori, and H.pylori is associated with some of the most serious diseases known to man. These include GERD, Stomach cancer, Ulcerative Colitis, Peptic Ulcer Disease and more. One study showed that concentrated levels of zinc in the stomach may help to reduce the presence of H.pylori by suppressing stomach inflammation which helps to prevent the proliferation of the harmful pathogen. Where Should You Get Your Zinc? First off, let me start by saying if you’re not deficient in zinc then there’s no need to supplement with it. At least not on a continued basis. If you get enough zinc via your diet then occasional supplementation may be warranted during a cold or other type of condition. Beyond that, no need to supplement. To know if you’re deficient you can consult your primary care physician to get some blood work done to measure your blood serum levels. Healthy levels are between 0.66 to 1.10 mcg/mL. If you fall out of the healthy range then I recommend trying to eat more zinc rich foods. Here’s what the National Institute For Health has listed on their website regarding the top sources of dietary zinc. If you don’t modify your diet or just need a little extra to fight a cold, then supplements will work. If you want to learn more about zinc and what it does be sure to look at this comprehensive list below which shows you 47 ways zinc could improve your health.